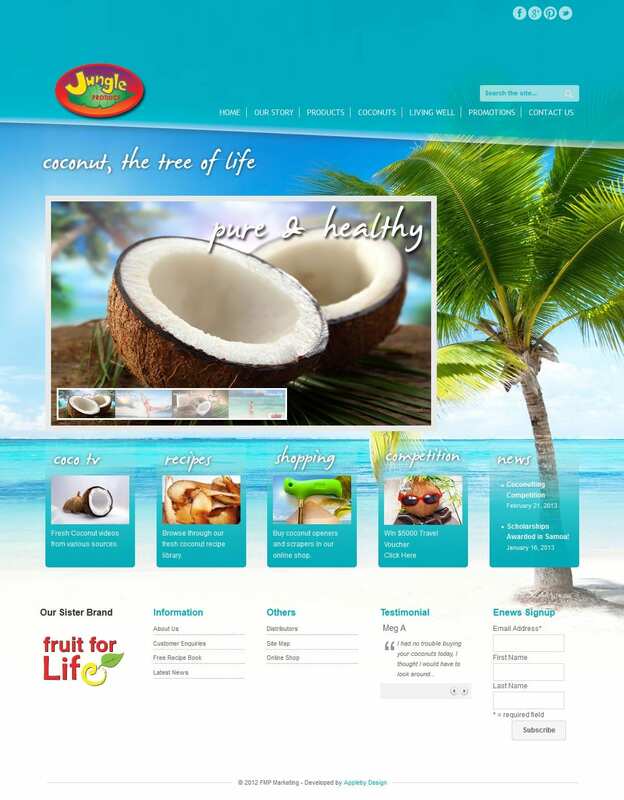 Jungle Produce is the product brand for FMP Marketing’s Coconut range. FMP supplied a PDF design which we converted to WordPress. We also provide web hosting and domain management for Jungle Produce.